Animals have the secret healing power and their antics take away all our stress. They can be our best friend, saviour and guide; all at once. While petting these creatures is an indefinable delight, true pleasure lies in watching them grow. The cuteness of baby animal brings immense happiness with itself. Here are top ten cutest baby animals who will make you believe in love at first sight. Woof! Woof! Who doesn’t love puppies? The cute tail, innocent eyes and soft barks will make your day. These four-legged fur balls of happiness understand humans like no other being. Puppies bring out the childishness in every person. Whether they bark or howl, it is amazing to be around them. These friendly give children a perfect company. 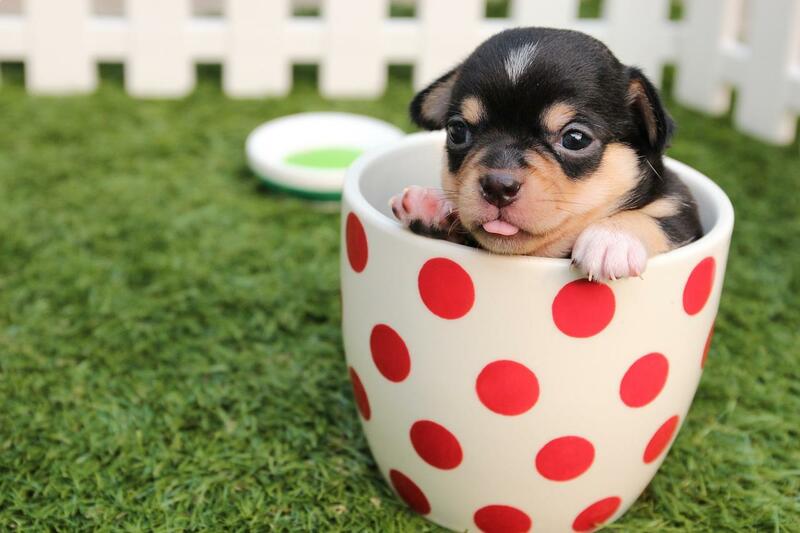 It is never late to give yourself the opportunity to be loved by cute puppies and droll over their charm. Also, read about small dog breeds in the world. We all love the carefree cats and kittens. But haven’t you ever wondered about the other members of their clan? Yes, cubs. Cubs are one of the cutest baby animals. Though the grownups are wild and fierce, the tiny tots are playful in nature and really attractive. They grow fast. Also, the claws sign no clause, so be careful while admiring their innocence. The fluffy and lovable Pandas never fail to melt our hearts. Just imagine the baby Panda rolling and eating bamboos all day. When born, these cute baby pandas are tiny, pink in colour and weigh less than five ounces. But as they grow up, they turn into cuddly creatures. Now an endangered species, pandas kept in zoos are given special attention. Well, the good news is you can book a slot to cuddle with a baby Panda in The Giant Panda Research and Breeding Centre, Chengdu, China. The long bushy tail and triangular ears of foxes catch our attention, almost immediately. They can be called dog’s cousin since they too belong to the Canidae family. Baby foxes (also called pups) are always enthusiastic. No doubt, baby foxes are small in size. But Fennec fox is the smallest living fox. It is as small as a cat. Though fox is an exotic animal and therefore illegal to pet, it can be domesticated in the US. Remember the piglet from “Winne the-Pooh”? Aren’t they a little bundle of joy! Baby pigs are miniature in size and pink in colour. They can’t control their curiosity and almost eat everything. But cutest among all is their grunt and snort. Piglets are social and play all day with other piglets. Also, pigs are nowhere as unhygienic as you think. They don’t even urinate where they sleep or eat. The chirping of little chicks and seeing them run around is overwhelming. What acts as a bonanza is those birdies lovely appearance. Chicks are entirely dependent on their mother hen. Baby chickens take three to four weeks to grow. And this period is filled with amusement for them. Cow calves are one of the most adorable baby animals. A newborn calf is as tall as a four-year-old child. Even if they stand just after few minutes of birth, it takes them a week to go around with the herd. Calves are not just adorable but also very friendly. Highland Cattle Calves top the list among all. Cows are one of the most useful animals to humankind. Call them timid, shy or curious; but they are extremely attractive and playful. Bunnies love carrots. But they do love humans equally. Newborn rabbits have extremely delicate skin, but as they grow old, they turn very active. Bunnies’ favourite food is grass and other plants. Fun fact is rabbit’s teeth never stop growing. Rabbits are one of the cutest animals in the world. Penguins, the flightless birds live in extremely cold regions. Baby penguins (also called chicks) are so cute that they can turn anyone’s day perfect. These babies always stay in groups thus helping themselves to get the warmth in extreme climatic condition and also safety. The parents recognize their babies by their voice. Baby penguins grow up to become great divers and surfers. So, admire the little Snowmen. Emperor Penguin is listed as world’s most amazing animals. One of the intelligent animals in the world, Elephants are the largest mammals living on earth at present. Though their number is decreasing day by day, they are still no less than the king of the Jungle. Baby elephants are small and adorable. Unlike a full grown, the babies are not wild. They are always guarded by their mother. These herbivores are playful in nature. It is one of the cutest baby animals in wildlife. All the animals deserve immense love and care. Humans must be tolerant towards them and have a harmonious relation. It will be a small step towards making the Earth a beautiful place.